The Optoma HD50 is a Full HD projector for those wanting to watch wall-sized movies and supersize their games. 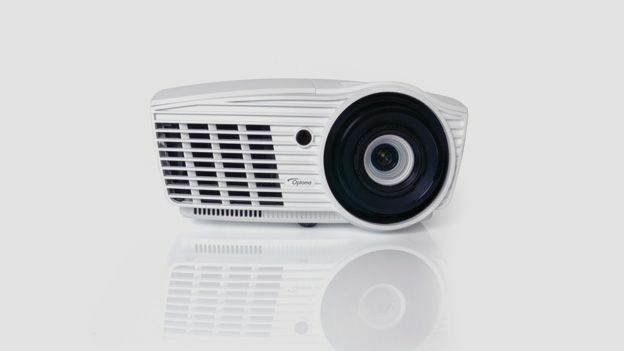 There're an increasing number of relatively budget 1080p light cannons now available, including the cheaper Optoma HD30, but what sets this £999 model apart from the rest is the fact it performs like a projector costing twice as much. Yep, this compact Optoma is a big-screen jaw-dropper! Everything you need for Godzilla-sized video is here, sans onboard sound system - you'll need to use this in conjunction with a separate audio system. Installation is a snap. The projector features a 1.5x manual zoom and vertical lens shift to move the picture into position. How big can it go? From just over 2m you can throw an image 120-inches across, and it's bright enough (at 2,200 ANSI lumens ) to go larger if you can increase the throw distance. Although 2D out of the box, the HD50 is compatible with Optoma's ZF2100 Active Shutter 3D system, which is a £90 optional extra. The projector is pretty much plug and play. There are two HDMI inputs, with MHL support for convenient smartphone connection, plus component and composite video inputs for legacy sources, plus PC VGA. There's also a 12v trigger, which means the projector can be sync'd with an electric screen if you want a more permanent home cinema installation. It also supports HDMI CEC control. Surprisingly compact at just 286mm wide, the HD50 is tidy enough to be parked in a cupboard when not in use, and light enough at 3.8kg to pop on a coffee table when you want a white-wall gaming session. Design wise it's rather cute, with large offset lens and gloss white cabinet. Be warned though that the forward -acing exhaust vents a considerable amount of amount of hot air. On-body controls include zoom and lens shift adjustment wheels, plus menu navigation and source selection. The projector comes with a matching white, backlit remote control. Operating noise in Eco mode is a little higher than the norm, at 29dB. Image sharpness is exceptional. Hi-def pictures from TV and Blu-ray bristle with fine detail, and it's contrasty enough to give images tangible depth (Optoma rates contrast at 50,000:1). A Dynamic Black mode can be used to further optimise black levels depending on image content by adjusting the lamp output, but this causes the projector's cooling fan to slip into noisy overdrive. You might want to avoid this mode is you're sitting close. Optoma's PureEngine image processing suite is generally effective. An UltraDetail mode makes the most of HD sources, while PureColor ensures particularly vibrant hues. PureMotion image interpolation is used to minimise image blur, creating a slippery high frame rate video effect. Medium and High settings should be avoided as these add smudgy motion artefacts. While it can be used in a partially lit room, the HD50 looks its best in full-black out conditions. Rainbow fringing, an artifact common to single chip DLP projectorís is notable only by its absence. If you're looking for an HD projector that confidently out performs its price bracket, the HD50 is an easy recommendation. We loved the razor-sharp clarity of its images, funky form factor and easy setup. For those AV enthusiasts that want to dig deeper, there's a host of calibration options and some cool system functionality. Equally, if you just want a killer projector for big sports and blockbusters, this does the job too. Consider it the essential add-on for any white wall.